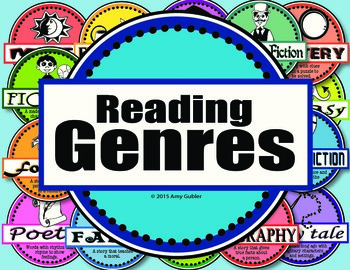 Use the 14 posters in this packet to teach your students about each genre. Hang the posters in your classroom for reference. 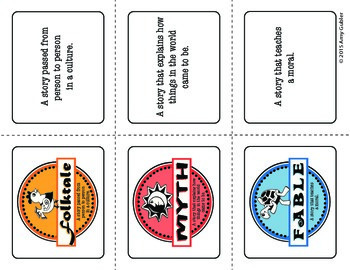 Reinforce your students' learning by playing the genre memory game. 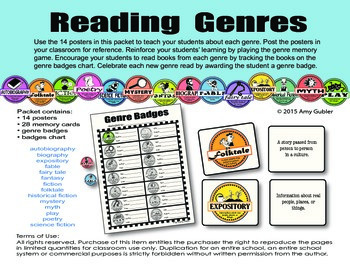 Encourage your students to read books from each genre by tracking the books on the genre badges charts. 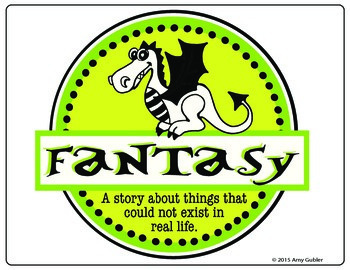 Celebrate each new genre read by awarding the student a genre badge.